Avid adventure seekers, hikers and travellers with a penchant for organization gather round. We have found a bag you’ll love. 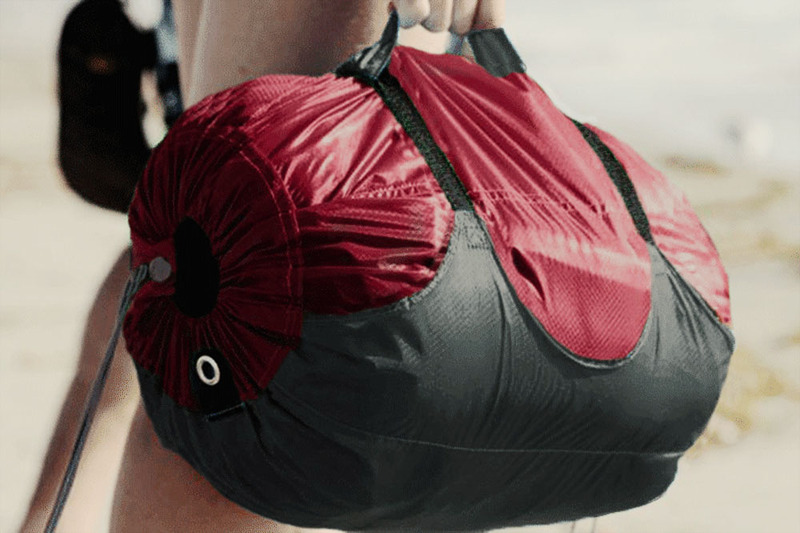 It’s the SegSac Traveler, aka The Hoboroll, from GobiGear… and it’s a multifunctional wonder. Designed for backpackers, campers, travel buffs and hikers, this water-resistant bag is available in two sizes – 18.5L and 30L – and very, very light. I thought the box was empty when I received it! It has five inner compartments, plus a “secret” zippered pocket for your valuables. This zippered pocket also doubles as a storage pocket. When not in use, the whole bag fits into the pocket, so you can tuck it into a larger bag. Purpose of bag is to help you stay organized while you travel. The compartments are decently sized; I almost managed to pack a week of stuff into this one bag. Only my large sweaters were left out (winter travelling does require a bit more space). The bag opens on both sides, which was odd to me at first (I blame my lack of exposure to hiking equipment). Once I started packing, I realized it was an asset. You can adjust the contents of the bag from both ends to ensure you fit everything in there. The drawstring closures on both ends are strong enough that I didn’t worry about them breaking or sliding open while I moved around. Aluminum, lightweight buckles (aircraft grade, according to the website) secure the compression straps in place. They don’t look like much when you don’t have anything in the bag, but once the bag is full, these straps really cinch things together. The buckles are a bit small and I don’t quite trusted them completely, but it does hold everything in place while you’re on the move. There’s a handle on the side opposite the compression straps, for when you’re using the bag as luggage. If you prefer slinging your bag onto your back, all SegSac Traveler bags come with a shoulder strap. There were no instructions on how to attach the shoulder strap, so I had to sort out what went where and how all on my lonesome. It didn’t take long though, as it’s all pretty intuitive. Even if you’re not a hiker or adventure seeker, the SegSac Traveler acts like a luggage organizer. You pack your clothes into the bag and slip it into your luggage. It gives you a bit more space to pack other things, like shoes or books. And, repacking is easy. Plus, if you decide to go on a day trip to the beach while you’re on vacation, this makes a great beach bag. Also available on Amazon through a variety of sellers.